Interviewer: If someone does give a statement to the other party’s insurance, are they in trouble then or can you still work the case to give them a good result? Richard Sailer: Yes we can still work the case. In an ideal world we would like to be involved when the statement’s given. If we’ve been retained in the matter, we’ll set up the statement and we’ll be on the line with the client when they’re giving the statement. We’ll be making sure the insurance doesn’t ask any inappropriate questions. Half the clients have already given the statement before our involvement with the case, then first and foremost we try to obtain a copy of that statement so then we know exactly what was said, what wasn’t said and the format of the questions – like I explained to you they usually lead you down that path of, ‘okay you weren’t admitted to the hospital, you didn’t have surgery, you didn’t break any bones, so you’re basically okay’, and we turn around and say, ‘You never bothered to ask them if their neck hurt. You never bothered to ask them if their back hurt. You didn’t ask them if they had any bruises. You were just talking about the surgical type issues’. Interviewer: If you’re on the call with the client and the other party’s insurance company, and they’re asking these questions – would you literally say, ‘don’t answer that’? Richard Sailer: No we would tell the adjuster that we’ll provide them the medical records when they’re available and any medical issues will need to be taken up with the treating physician. Interviewer: So the good thing is, you’re literally there guiding the person so they don’t misstep? 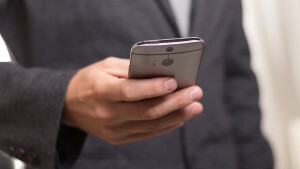 Richard Sailer: Yes typically what we either do is we’ll set up a three-way call, or I’ll have the client come into my office and then we’ll do it on speaker phone. That gives me the ability to hit the mute button if I need to and stop somebody from saying something they shouldn’t, or correct the adjuster and say, ‘that is not an appropriate question at this point in time’ and move on. Interviewer: What have you seen when people have spoken to the adjusters? What’s happened to claims? Now I know you can’t tell me what they would’ve gotten if they hadn’t given the statements but – any case studies of the damage that you see, that this is done when you’ve done this? Richard Sailer: Well how the insurance works is that when they’re in notice of a claim, they’ve got to report back and set up reserves for that particular file. 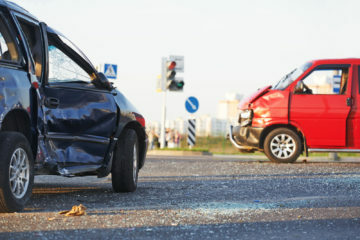 Now I have noticed that it’s more difficult to settle a case if the initial impression of the adjuster is that there is no injury or it’s a very minor injury, because now the insurance adjuster has to flag that file for a certain dollar value. And when it turns out later on that the value of the case exceeds their initial impression, often times it takes an act of congress to get them to re-evaluate the file and put more money on it. Interviewer: What about your own insurance company, are they your adversary? Do you have to give them a statement? Richard Sailer: It’s helpful to give your own insurance company a statement. In my experience, especially if there’s potentially any dispute in liability, I would rather have my client’s insurance company hear their version of the events before the other person gives them their version of the events. But any insurance company could potentially be an adversarial situation. Were You in an Auto Accident?